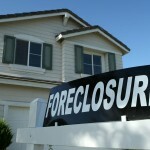 How to survive a Foreclosure? Only in the United States that when it rains on your parade, you must expect the rain to pour down harder. That’s the truth for people who have gone through foreclosure. Most of these people have not prepared for their impending mortgage problems simply because they were either laid off in one of US’s lamest economy, or they (or someone else in the family) have suffered from a medical emergency. Or maybe they have fallen for mortgage related schemes that make the problem go away for a year only to increase interest rates that make it impossible for them to pay. As mentioned, if it rains, it rains harder. Foreclosure however does not come as a surprise because the bank or the lender will constantly send notifications notifying homeowners that unless they settle their mortgage, foreclosure will be unavoidable. If you’re facing this problem, what you need to know are two things: 1. You’re not the only one who has gone through foreclosure and 2. It is a process. Don’t panic. There’s plenty of time before the foreclosure process begins. Foreclosure is not the end of the world. What you need to do is to plan, negotiate, and evaluate your options. Remember that you have time to do all of these but you have to act fast. Don’t think the problem will fix itself because it won’t. Make up your mind; otherwise it will bite you back. If you realize you can’t afford to pay your mortgage because of your mundane predicaments, you should contact your lender so you both can work out an ideal and realistic solution for the problem. Professional scammers will descend to you like crows. The real estate economy is in a really ugly state right now but mortgage brokers cover it up with beautifully packaged, sugarcoated mortgage modification programs. Be wary of this because they will look like a donut to a very hungry dog. To effectively plan, negotiate, and evaluate your options, it will be good to accept that you are not smart enough to do so. That’s why you need the help of an expert. Hire a lawyer who specializes on this case so you’ll finally have a clearer view of the future.